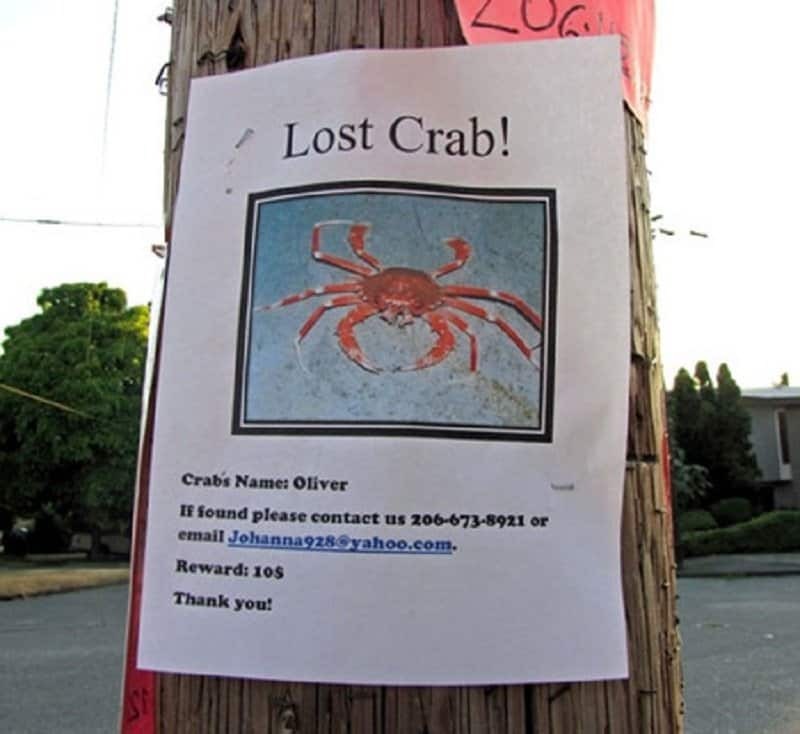 Have you ever lost a pet? It is probably one of the worst feelings in the world. You are constantly worried about a creature that is not equipped to take care of itself, and you know that the chances of finding it are pretty bleak. There isn’t much to do except put up some signs and hope for the best. 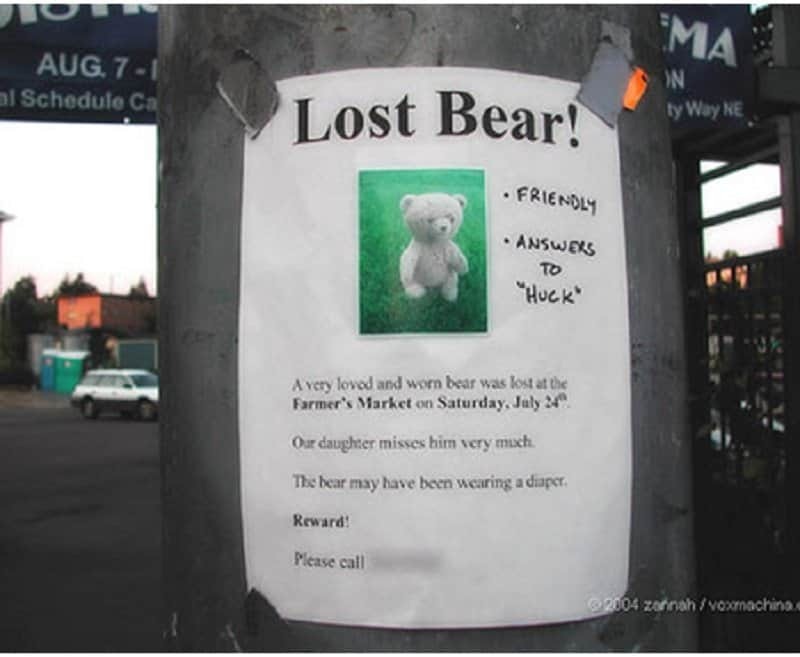 You must have seen a lot of lost and found signs around your city, and most of them are very legitimate. 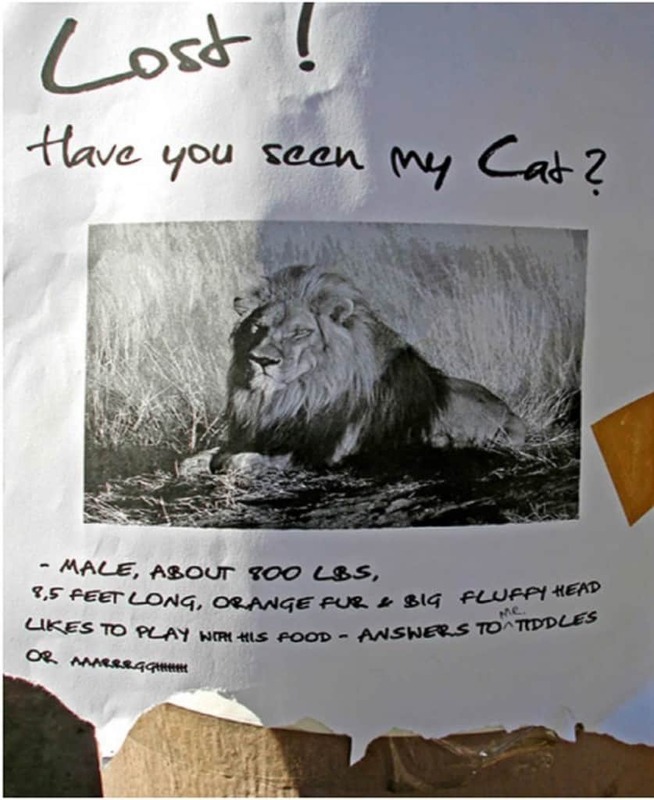 Some, however, are just plain hilarious and this list contains a few of the funniest lost and found signs. Huck the teddy bear looks adorable. Worst of all, he belongs to a little girl. Whichever creep decided to steal a girl’s teddy bear better hand it back. 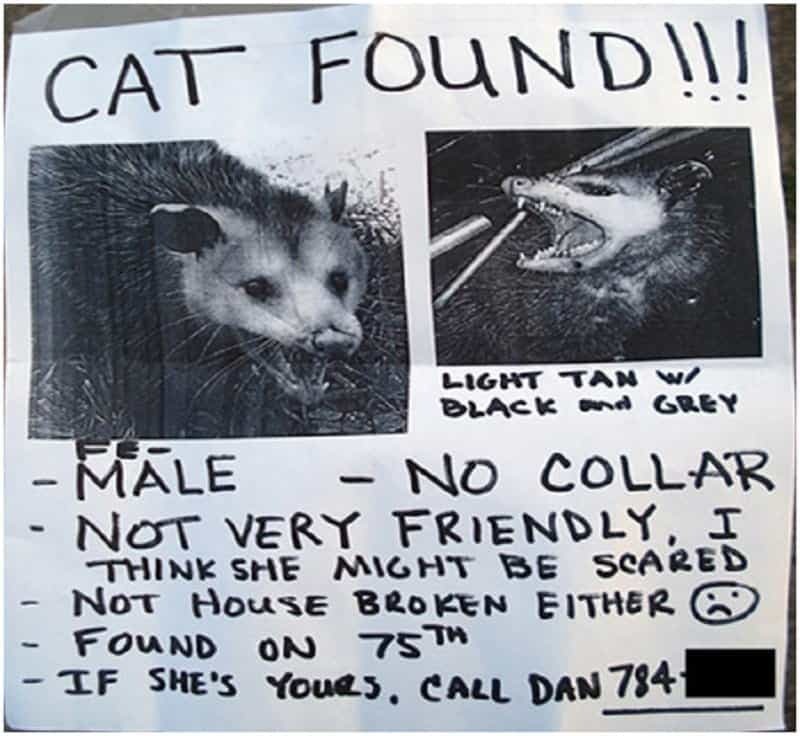 Is that really a cat? Sure, it falls under the feline category, but I don’t think its the same thing. How do you even lose a 800 pound cat anyways? 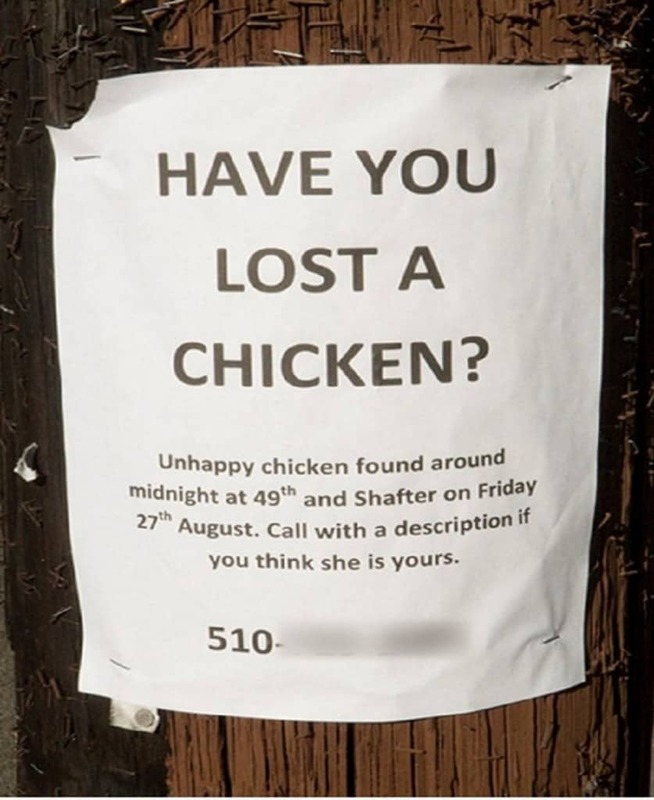 It breaks your heart seeing an unhappy chicken walking the streets alone at midnight. At least this person had the decency to put up a sign about it. 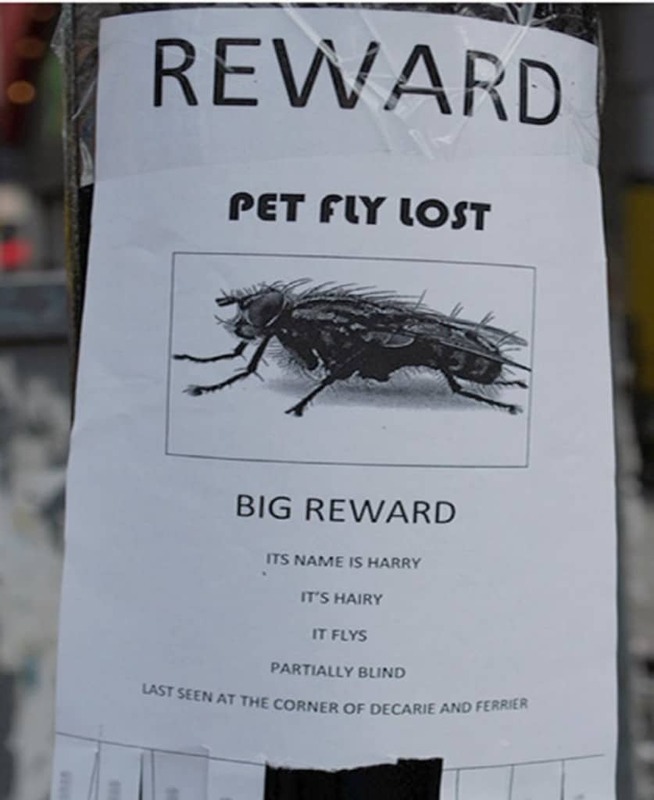 The streets are full of people with magnifying glasses looking for Harry the fly at this very moment. 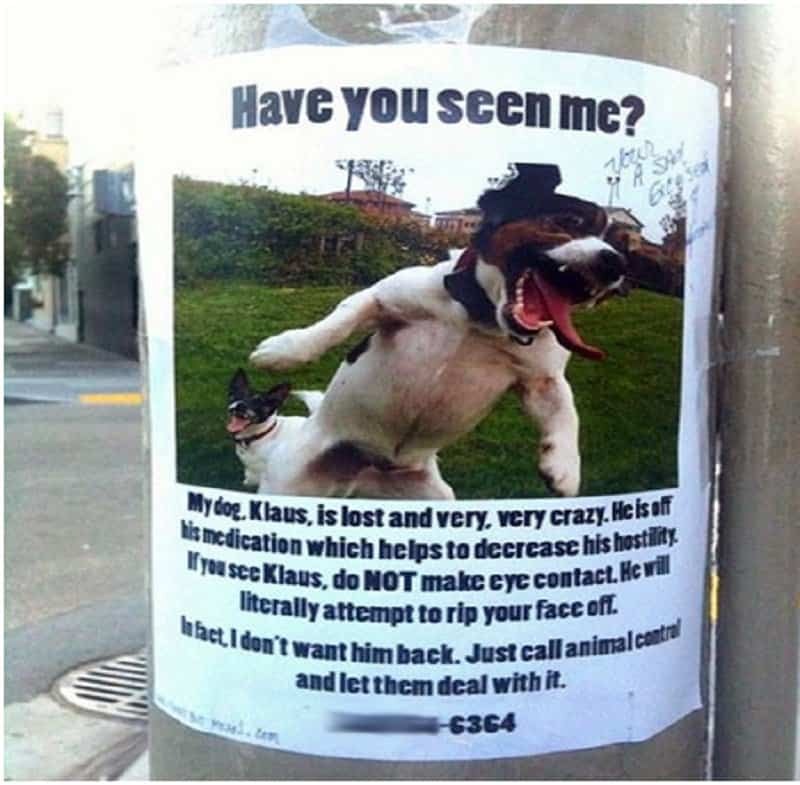 It’s rumored that he hasn’t been found yet. If only Klaus didn’t make that ridiculous face during picture time. We would probably be able to recognize him if we saw him on the streets. 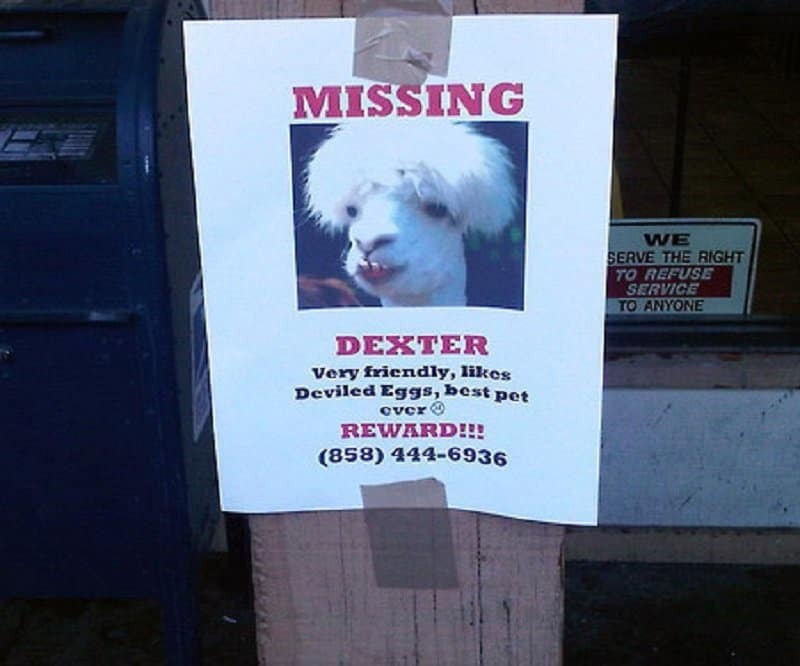 If Dexter really is the best pet ever, how did he manage to get lost? Don’t the best pets in the world know their way back home? 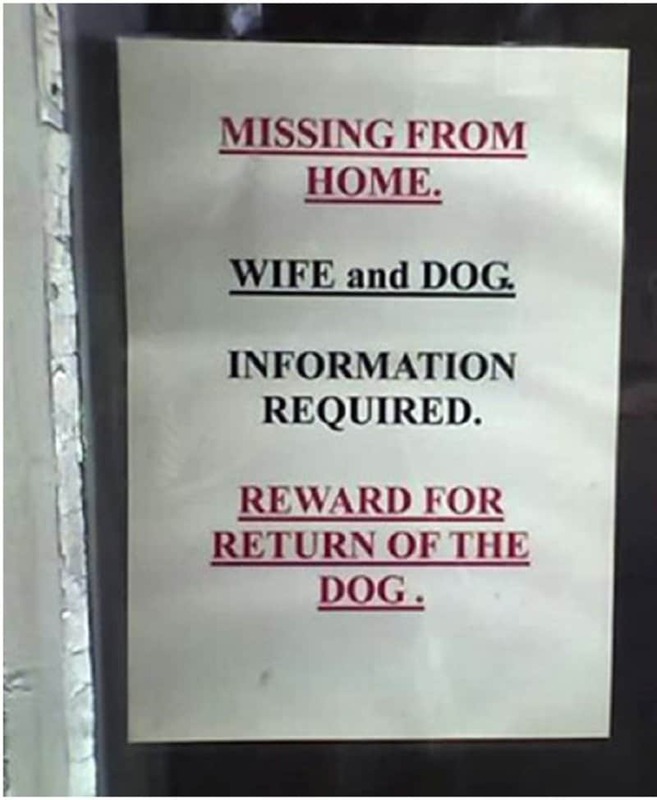 This flier needs to be a little more descriptive about the missing wife and pet. The only thing we know from the flier is that the man hates his wife. 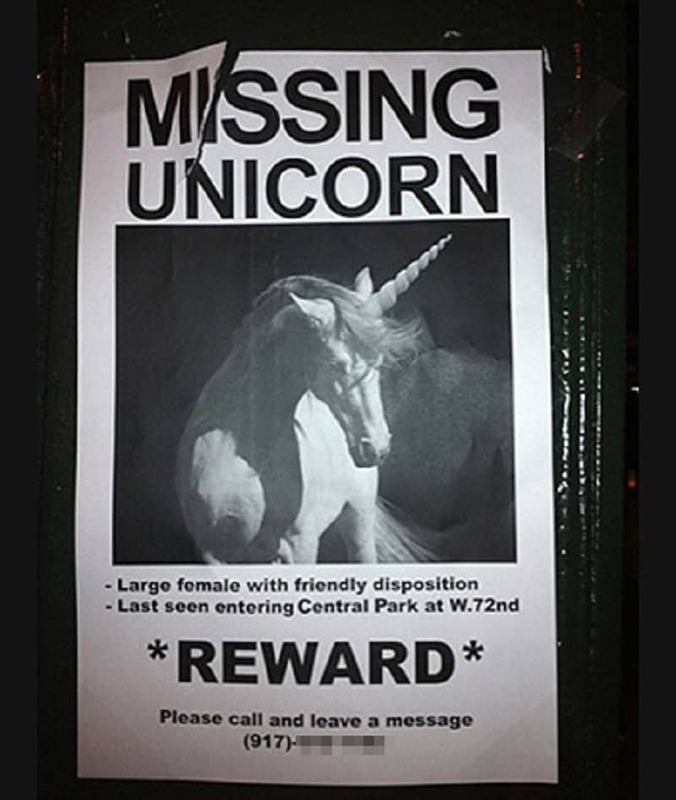 If I do find the unicorn, it better be one hell of a reward, like a pot of gold or something. At least we know that Oliver is moving sideways, so he couldn’t have gone very far. This person has clearly never seen a cat before in his life, or every cat he has seen has been an anorexic monster.